IT’S SOMETHING WE were all familiar with at one time in our economic history. An unsolicited credit card offer sent in the post, containing a contract offering set terms and conditions – just there for the taking. Nowadays, most of us would cut up the card or throw the letter away. But not Dmitry Argarkov, a 42 year old man from Voronezh in Russia. He decided that, while the terms and conditions might not have been to his liking, he still quite liked the idea of a credit card. Argarkov scanned the contract and amended it to one he found more satisfactory – namely, a credit card with a zero per cent interest rate, no fees and no credit limit. He also included a clause stipulating that each time the bank failed to comply with his rules, he would fine them 3m rubles (€68,286). If they tried to cancel the contract, it would have to pay 6m rubles, reported the Telegraph. The dream credit card, in other words. The company, Tinkoff Credit Systems, failed to notice the amendments made to the contract by Argarkov and issued the card with no questions. “The opened credit line was unlimited. He could afford to buy an island somewhere in Malaysia, and the bank would have to pay for it by law,” Dmitry Mikhalevich told Kommersant. Tinkoff Credit Systems attempted to sue Mr Argarkov for overdue payments – but earlier this week a judge ruled in the man’s favour, stating that the bank was “legally bound” to the contract. In turn, Argarkov is now suing them for not honouring their agreement. “They signed the documents without looking. They said what usually their borrowers say in court: ‘We have not read it’,” said Mr Mikhalevich. Tinkoff Credit Systems are now undertaking a second law suit for fraud. 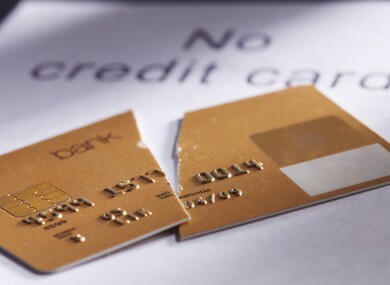 Email “Man writes own credit card contract, sues bank for breaking it”. Feedback on “Man writes own credit card contract, sues bank for breaking it”.